Intriguing Pop from half of The Fields, that’ll take sometime to grip you in. 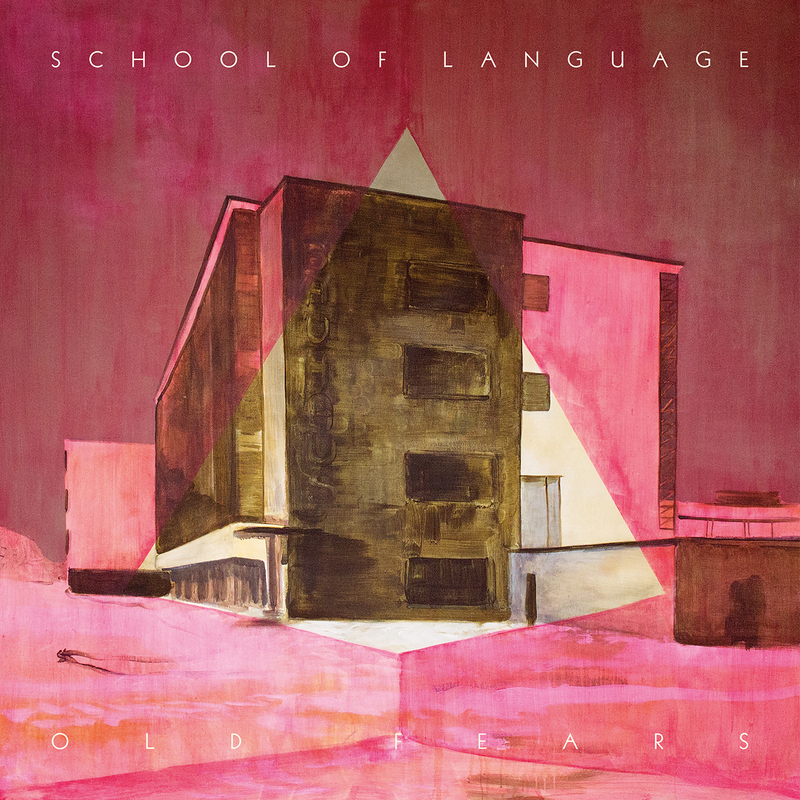 Old Fears is David Brewis’ second LP under his solo project School Of Language. As I’m not a keen Field Music fan; I’ve no idea whether School Of Language is wildly different to older Field Music or fairly similar. Placing that on the sidelines, Old Fears feels like a children’s cartoon, with beyond strange sound effects alongside a primary school keyboard with the space setting on. Especially on the album track Old Fears, this weird combination makes you feel almost uneasy, as if you’re that kid being followed by a mischievous lion in the rainforest who’s planning to steal your pick-nick (or whatever it was). Not to say that Brewis has completely lost the case and got giddy on a 61 key, keyboard. On tracks Between The Suburbs and Dress Up especially; cleverly planned synthesisers meet regular drum beats that are greeted by the faint whirl’s of hypnotised guitars. For the bulk of the album, Old Fears carries an enjoyable pace, that’s more familiar with Indie music rather than electronic, which is a happy coincidence for Old Fears indietronica. The strongest factor for Old Fears is its weirdness factor. For non-regular School Of Language fans, the albums brand of loopy electronics with bustling pop tunes could be somewhat of an earful. Even for keen advocates of Post-Pop, Old Fears has built a bridge a few extra generations long. Praise for the Old Fears futuristic pop take is definitely required. The drama from Distance Between to You Kept Yourself is unimaginable for such a calm faced album. The major problem with this album is that I’m not hooked. It’s weird nature intrigues me to give it a listen, but I don’t find myself enjoying the album as much as I enjoy the weird pulsing synth effects. Despite not being able to draw attention from the album’s weirdness, rather than it’s fairly clever techniques; bizarre pop tones and melancholic rhythms, set Brewis’ second solo LP to become a pioneer, rather than a leading force, for the change to the genre of pop. Music geeks and hipsters alike will happily claim this the album that started the new age of Pop music in years to come.